Welcome to Malta, a Mediterranean jewel aglow with limestone cliffs, megalithic temples, and water as clear as liquid glass. The island nation of Malta ranks among Europe’s most appealing destinations, bathed as it is in splendid Mediterranean sunshine. Having been the domain of everyone from the Phoenicians and Greeks to the Moors and the British, the modern Maltese culture is a cocktail of regional influences. 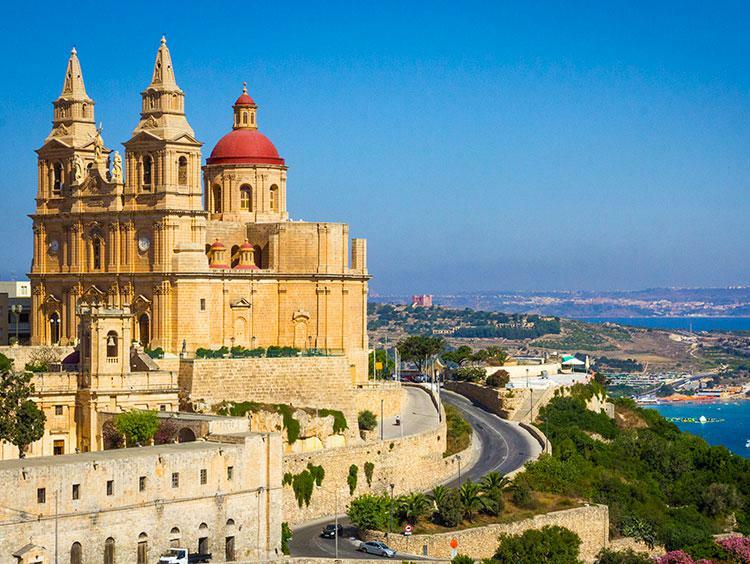 In Valletta, Malta lays claim to one of Europe’s most beautiful capitals: From its astonishing variety of historical landmarks (including St. John’s Co-Cathedral and the Magisterial Palace) to the sumptuous Barrakka Gardens, this city truly weaves a spell. Other fine hubs include the seaside “Three Cities” (Cospicua, Vittoriosa, and Senglea), strikingly walled by long-standing ramparts. Relish Maltese history with every plate, whether you’re partaking in a much-loved fenkata rabbit feast or tasting the output of a centuries-old winemaking tradition. Beyond the sumptuous architecture and delicious food, there’s always the temptation of the plentiful Mediterranean beaches! The occupation of Malta by so many different colonizers and invaders over the archipelago's long history has given it a culture tinged with influences from all across the Mediterranean and Europe. The longstanding importance of the Roman Catholic Church reveals itself in the country's many annual festivals, including a wonderful Maltese version of Carnival. The capital of Valletta is the perfect place to launch an exploration of Malta's heritage, and not just for its preponderence of splendidly beautiful and historic architecture (a wealth that led UNESCO to declare the city a World Heritage Site). Valletta's world-class cultural institutions, including the Museum of Fine Arts, the National Museum of Archaeology, the Manoel Theatre, and the multi-purpose performance and art space called the Saint James Cavalier provide immersive introductions to the country's creative energies. A culinary tour of Malta makes you feel as if you're covering a lot more international territory: The cuisine here intricately showcases influences from neighbors and conquerors alike--Sicilian, French, North African, Spanish, British, and other flavors and preparations blend together seamlessly in Maltese kitchens. Notable dishes include kapunata, timpana, and the stewed rabbit at the heart of the well-known "fenkata" tradition. This is also a haven for those who relish the fruits of the vine: Malta has been a winemaking hub since Phoenician days, and there are distinctive native varieties of reds, whites, and sparkling wines. 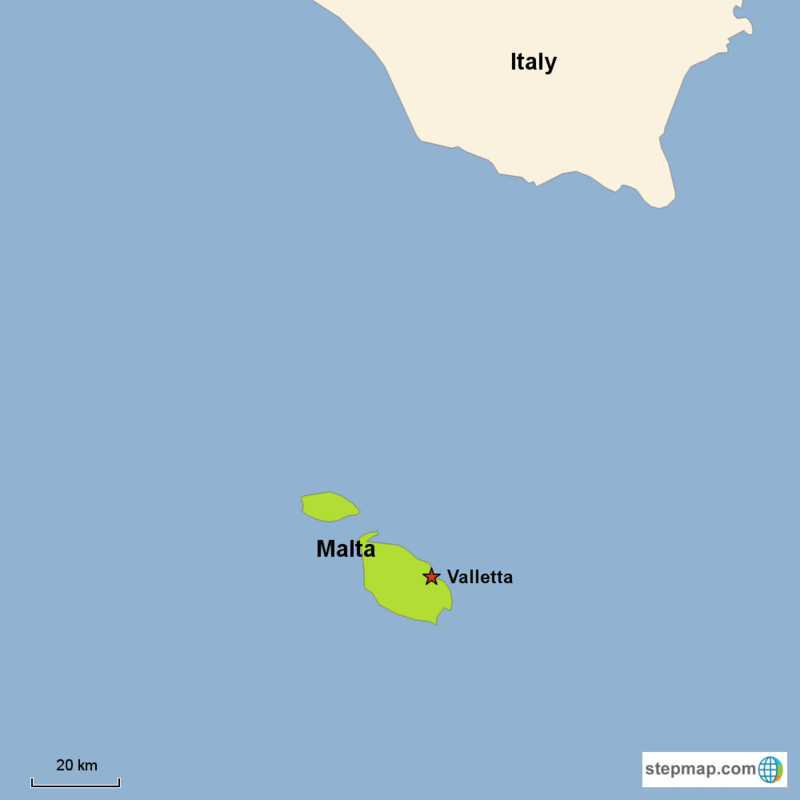 Malta lies in the heart of the Mediterranean Sea, some 60 miles south of Sicily. The archipelago includes a trio of inhabited islands--Malta, Gozo, and Comino--as well as several unpopulated islets. From the handsome harbors and rough-cut sea cliffs to the rolling interiors (the country tops out at 830 feet), Malta's land- and seascapes are rich in quiet beauty. As alluring as the scenery, though, is the climate: Malta enjoys perhaps Europe's most balmy and sun-splashed conditions. This is the Mediterranean experience at its very best. Malta's history arcs back to the deep Neolithic. The archipelago's interstitial position in the Mediterranean made it a fought-over prize for thousands of years. Among its occupiers were the Phoenicians, the Romans, the Byzantines, the Arabs, the Normans, the Spanish, the Swabians, the Knights of Rhodes, the French, and, ultimately, the British. The country finally locked down its full independence in 1964. Malta's many incredible historic landmarks are ancient megalithic temples such as Ggantiga, the Auberge de Castille, the Delimara Lighthouse, and the Girgenti Palace.